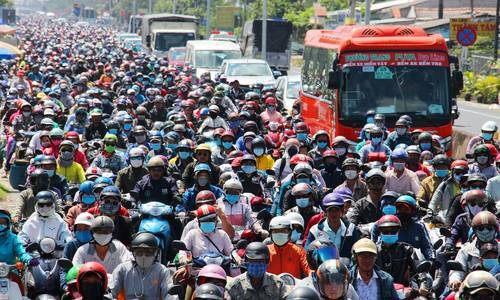 A sea of humanity returning to HCMC from Mekong Delta provinces has choked traffic on many roads. 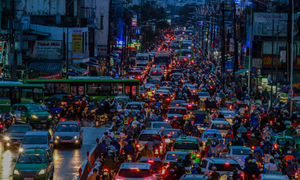 Breaking the traffic nightmares in Vietnam's two major cities down into numbers. 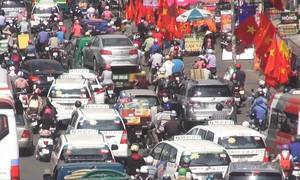 Torrential rain and gusty winds on Friday afternoon caused heavy traffic jams in central Ho Chi Minh City.